We now offer all hardwood surface cleaning and sealing. 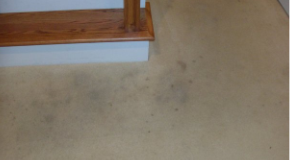 A Magic Carpet Clean’s goal is to deliver the finest deep carpet cleaning and extraction at a competitive price. We concentrate on your home, not moving onto the next job. Our institute-trained and nationally certified technicians are uniformed Magic Carpet International Cleaning Professional’s, not subcontractors. We are honest and friendly carpet cleaning professionals who you can trust in your home or office. 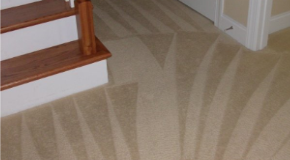 We take pride in our work and we take the time needed to properly clean your carpet and upholstery. It starts with a professional analysis, with extra attention given to spots and high traffic areas. We then remove the spots from deep down in the padding that others claim won’t come out. We carefully move the furniture and return it back to its original location when we are finished. We clean along baseboards and behind doors. It is our unique attention to detail and complete customer satisfaction that sets us apart from the competition. Due to the expensive cost of replacement, consumers want to make what they own last longer. Proper cleaning and conditioning from Magic Carpet will do just that. We put a lot of demand on ourselves so you don’t have to! Magic Carpet DOES NOT use harsh chemicals or shampoos that leave a residue. We use environmentally friendly products for a healthy home. Magic Carpet Cleaning & Restoration, is equipped to handle the claim with experienced personnel and equipment. Our services include emergency board up, structure cleaning, odor control, air duct cleaning, pack in/out, storage, complete contents cleaning, and total structure rebuilding with Magic Carpet Utilizing our ultrasonic cleaning system we are able to restore many items that previously could not be restored by hand cleaning. Our expertise in oriental rug and drapery cleaning has proven to be invaluable in restoring water and smoke damaged upholstered items.